THIS IS A WONDERFUL INDULGENT AND HANDMADE BATH BOMB. 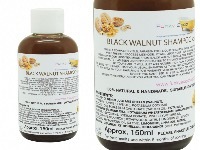 IT IS COMPLETELY FREE OF CHEMICALS AND FRAGRANCED WITH PINE AND MAY CHANG ESSENTIAL OILS AND WILL CREATE A REFRESHING, CLEANSING AND REJUVENATING BATH. THIS IS A WONDERFUL INDULGENT AND HANDMADE BATH BOMB. 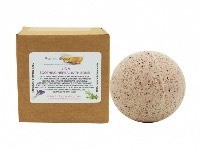 IT IS COMPLETELY FREE OF CHEMICALS AND ONLY FRAGRANCED WITH LAVENDER AND ROSEMARY ESSENTIAL OILS AND WILL CREATE A RELAXING AND REJUVENATING BATH. THIS IS A WONDERFUL INDULGENT AND HANDMADE BATH BOMB. IT IS COMPLETELY FREE OF CHEMICALS AND ONLY FRAGRANCED WITH SWEET ORANGE, LEMON AND LIME ESSENTIAL OILS AND WILL CREATE A REFRESHING AND REJUVENATING BATH. THIS IS A COMPLETELY SLS AND PARABEN FREE LIQUID BODY AND FACE SOAP. 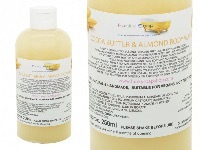 IT CONTAINS ALMOND AND ARGAN OIL FOR AN EXTRA CONDITIONING, LEAVING YOUR SKIN SOFT AND NOURISHED. GREAT REFRESHING SOAP FOR NORMAL TO DRY SKIN AS IT WILL LEAVE YOUR SKIN FEELING SQUEAKY CLEAN WITHOUT STRIPPING NATURAL OILS. 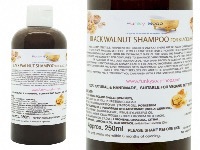 THIS IS A COMPLETELY SLS AND PARABEN FREE LIQUID SHAMPOO MADE WITH TEA OF BLACK WALNUT HULL POWDER AND CLOVE OIL. THESE INGREDIENTS HAVE LONG BEEN USED TO HELP STRENGTHEN BLACK AND BROWN HAIR AND ADD A LUSTROUS SHINE WITH A TOUCH OF HIGHLIGHT OF COLOUR. IT WILL NOT IN ANY WAY CHANGE THE COLOUR OF YOUR HAIR. AFTER LONGER USE IT WILL JUST ENHANCE NATURAL DARK SHADES. THIS IS A COMPLETELY SLS AND PARBEN FREE LIQUID BODY AND FACE SOAP. THERE ARE NO NASTY CHEMICALS AND IT’S PREPARED AFTER THE HOT PROCESS METHOD. WILL LEAVE YOUR SKIN AND FACE SOFT AND NOURISHED. HIS IS A COMPLETELY SLS AND PARBEN FREE LIQUID BODY AND FACE SOAP.